Six different angles from 20° to 40° for optimal laptop screen viewing height. 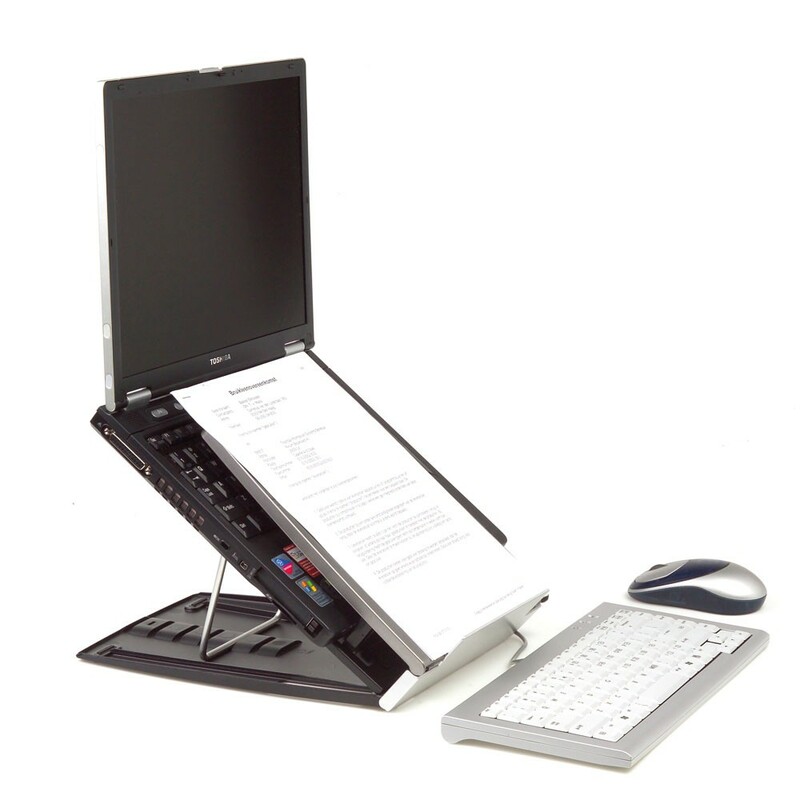 Easy front fold setup - laptop angle rest folds out from flat to the desired angle. 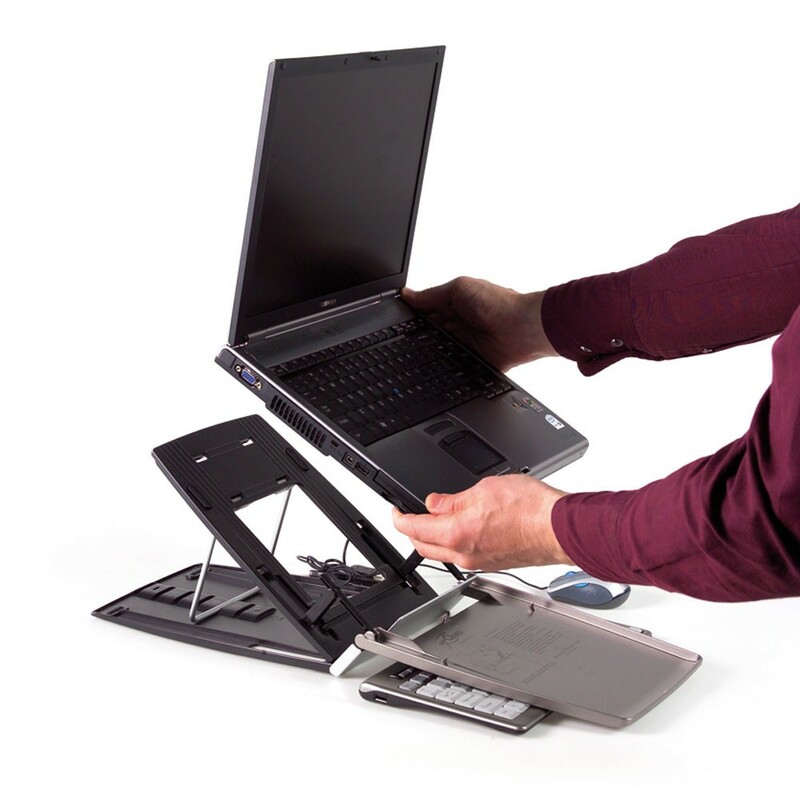 The front folds forward to permit safe two-handed insertion of laptop. The pivot also allows access to laptop keys if necessary. Mobile lightweight design - can be easily folded flat to 13mm for easy transport in a laptop case and weighs only 485g. 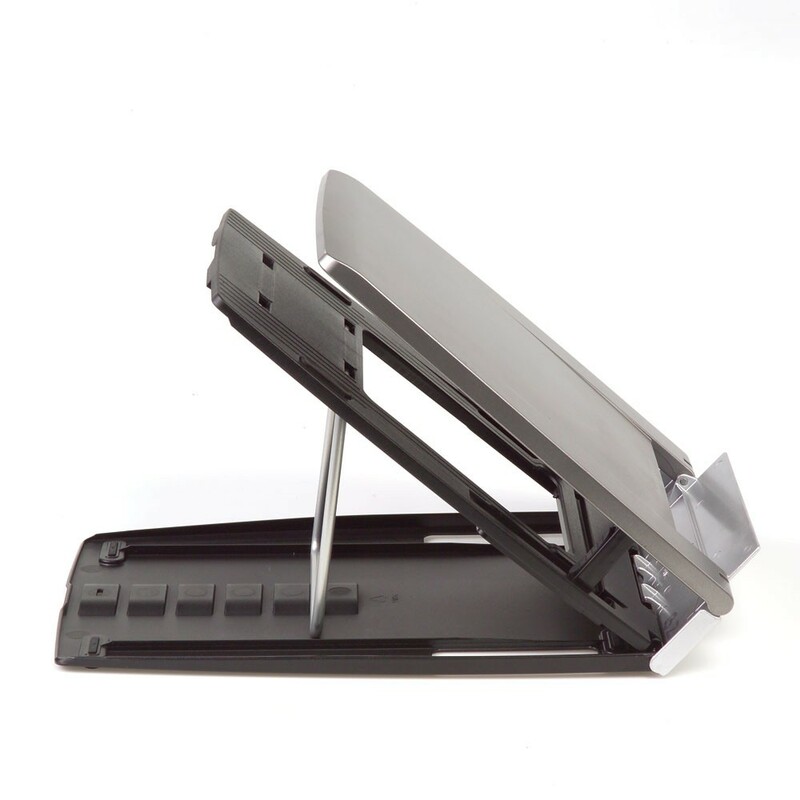 Integrated document holder - use to read your documents below the laptop without awkward twists and turns. 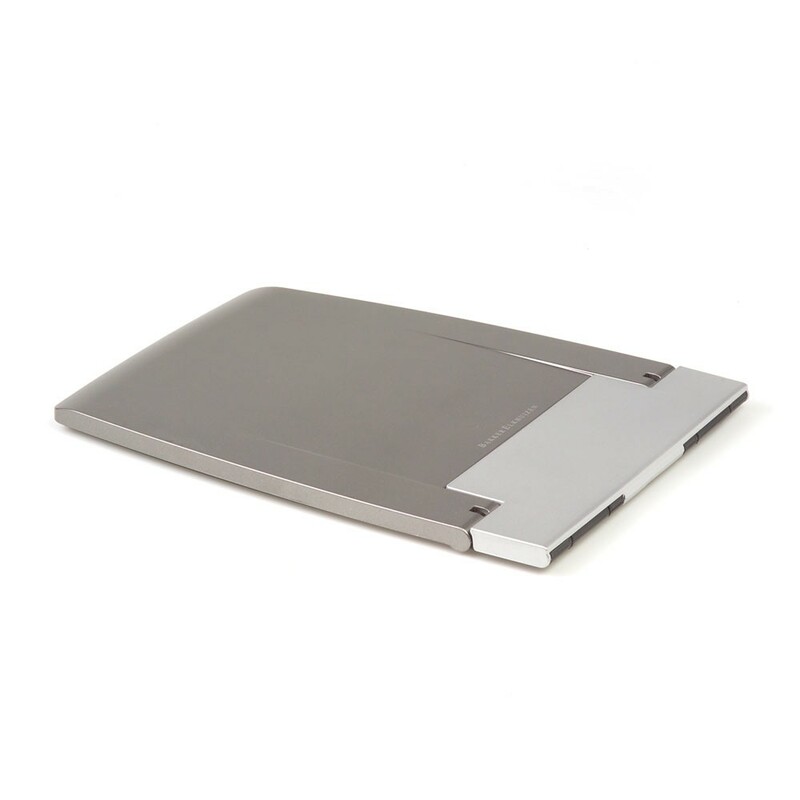 Designed to keep laptop cool - open design allows ventilation and prevents heat build up from laptop. Plastic construction - lightweight but durable. Rubber anti-slip feet - provides good stability.